Lasers are being widely used in medicine, and it has penetrated in dental medicine too. Before this word scares you off, let’s understand what a laser is. Did you know, laser stands for light amplification by stimulated emission of radiation? Laser is a beam of light that when focused on a particular area generates heat. A single color light is produced by the laser, which acts as a source of energy. This heat is used for the treatment. Those who have been using traditional tools in dentistry (we mean doctors and patients) may be a little skeptical about lasers. Anything new and especially a new technology, needs to work hard to gain trust of people. Laser is slowly gaining people’s confidence. Walk into any new or a modern dental office, and you will find laser technology in their services. There are different kinds of lasers for different treatments. The wavelength of this light will determine how the light interacts with the exposed part. Gum Diseases – Gum infection is one of the most common dental conditions. With the help of laser, the infected tissue can be removed. Root Canal Preparation – Laser is used for several procedures of the root canal treatment, such as cutting bone, cutting tissue, removing infected tissue, disinfection and so on. Biopsy – Laser is used to remove a piece of tissue for biopsy. Teeth Cleaning – Laser is used for cleaning the infected parts, meaning when the light falls on the infected part, it kills most of the bacteria. Laser cleaning is used for several dental treatments. Laser is being commonly used at several dental clinics all over US, as a part of elaborate procedures such as root canal treatments. It may or may not be used in isolation because there are still certain procedures that require tools to be used. Non-invasive – A dentist’s chair looks petrifying to many, and thinking about the tools that would go in their mouth, gives them sleepless nights. So contrary to that, laser is non-invasive. Cutting and removing can be done with laser, without the need of tools. There is no bleeding. Less pain – If not painless, at least laser involves less pain. Thus, the use of anesthesia is less. Less swelling – Since gums are not cut with tools, there is less of swelling and soreness. Recovery – Post-surgery recovery is faster as cuts, bleeds and swelling are quite limited. Patients who are typically apprehensive of dental procedures are more at ease with laser. 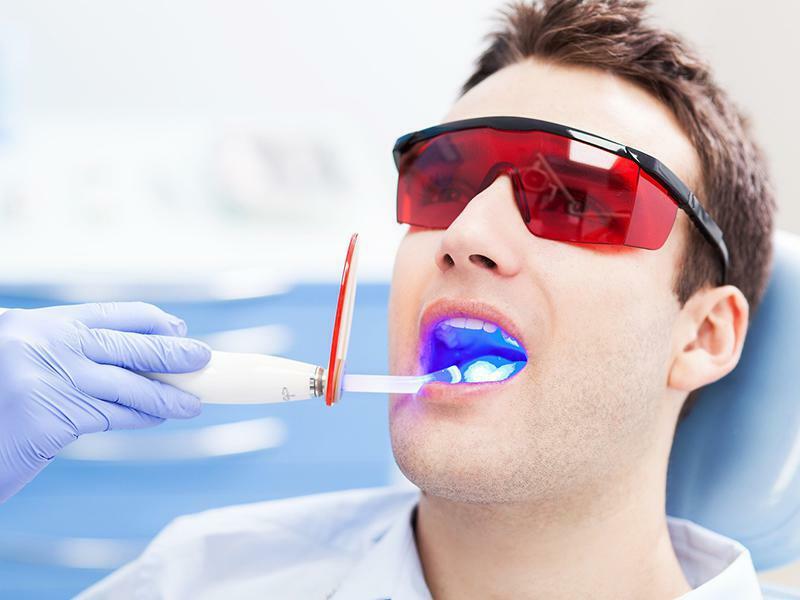 While there are a lot of dental clinics offering laser technology, you need to ensure that you go to one that is certified to use laser and has quality equipment. The thing about new technology is that studies are initiated once these technologies become popular. So, more studies and time will tell how laser treatment is beneficial in the long run and what the side effects are.